SOME MORE AMAZING NEWS !! Hello to all of our followers thank you so much for sharing Aaron and the ROHHAD Associations amazing news last night that the Marvel Universe LIVE! Heroes completed his puddle jump and are supporting his campaign to #GOMADJUMPFORROHHAD . 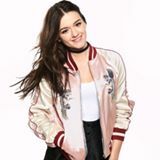 Today we want to talk to you all about this amazing young Lady here her name as some of you will know is Emily Middlemas she is such a beautiful talented young lady with the biggest heart to match her musical talents. Emily is a huge supporter of the ROHHAD Association and of the children battling ROHHAD. She offered a few months ago to help the charity and Aaron in every way she could and agreed to be our charity ambassador. Since then she has progressed in the X Factor and has been super busy however having spoken to her last night she is still so determined to help Aaron just as soon as she is able too so we are asking all of you to please show your support for her in the way she has supported us! Vote for her this week and every week she is on the show. As well as being the most talented on the show we cannot think of anyone better who deserves the votes. Her heart is huge she has helped Aaron and Lauren in so many ways and did not have too ! Lauren adores her and admires her Aaron simply put it ‘I just love her mum !’ She has spent time with them when they were sick in hospital and has cheered them up, she also has helped support our charity events and you may remember performed at our spring ball this year. She is a genuine caring young lady who puts her heart and soul into everything. We will be voting for her every week and it’s so easy to do ! You can download the X Factor app and vote 5 times completely free of charge ! You can also text for 35p (watch the show each week for her number !) I will post all details on how to vote each week on FB and twitter ! But hoping you will all get behind her as she truly deserves this ! Watch the show and I’m sure you will agree. Please get behind her and support her like she supports our charity !! I will hopefully be sharing with you all soon A statement from Emily about why she wants to help the ROHHAD Association but for now let’s show her we appreciate her talent and support by voting ! We are delighted to share with all our amazing supporters wonderful news. The team behind Marvel Universe LIVE! have been in touch with Aaron Hunters family and they have shown an incredible amount of support for him, his awareness campaign and the children battling ROHHAD. 4 of the actors who play the superheroes in the LIVE! show have completed the #GOMADJUMPFORROHHAD challenge and Aaron was so happy watching the video; he thanks them for completing the challenge for all the ROHHAD kids. Please click the link below to the Daily Record Article to see the challenge video and Aaron’s response to it. They have also invited Aaron along to the LIVE! show when it comes to the SSE Hydro in Glasgow in January 2017. 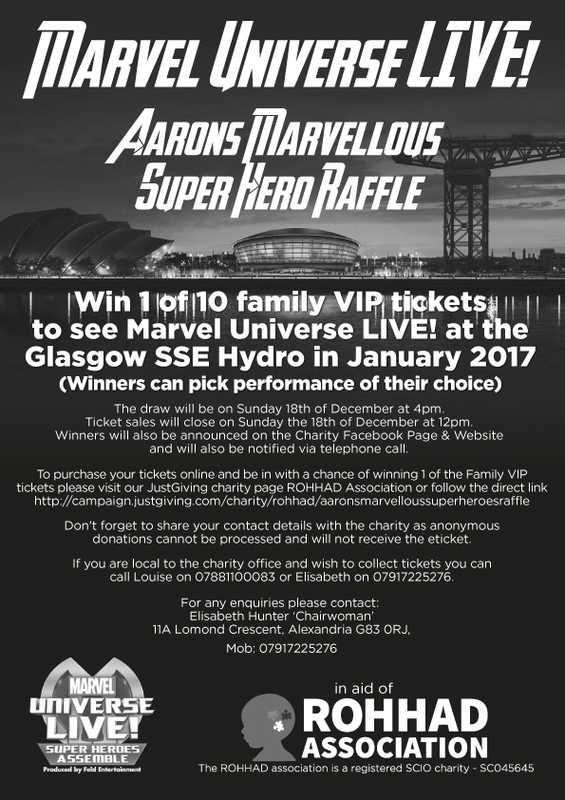 Aaron will have the opportunity to meet some of the heroes and watch the incredible Marvel Universe LIVE! show. As you can imagine he is already counting the sleeps. To help Aaron in his mission to raise awareness and much needed funds for medical research they have donated an incredible 10 Family VIP tickets for the LIVE! show when it is in Glasgow; to the ROHHAD Association. They will be raffled off to help raise funds for medical research into ROHHAD. Please remember to leave your contact details on the Just Giving page and do not click anonymous donation as we will not be able to process your entry without your name and email or contact number. All of the team at the ROHHAD Association are so grateful to Claire and her team at Marvel Universe LIVE! for the support they have shown to Aaron and the children around the globe battling ROHHAD. Aaron has been incredibly happy since seeing this video and he reckons his special friends around the world will be too. He has even asked if this means that the real Iron Man (Robert Downey Jnr) will do the challenge now !! we can but hope ! Whatever happens though Aaron is on top of the world just now with the support he has had from Marvel Universe LIVE! and is counting the sleeps until January!! If you want to help then you too can #GOMADJUMPFORROHHAD and text ‘Jump29 £3.00’ to 70070 or you can enter the Marvel Universe LIVE! raffle. You can also contact Lisa on 07917225276 to purchase Raffle tickets or Louise on 07881100083. Please see the extract below from our recently updated Research Page. There is currently an International Registry being compiled by Lurie Children’s Hospital in Chicago. They are looking for participants from around the world and would like for all the currently diagnosed ROHHAD children to participate if possible. Please read below and feel free to contact us here at the ROHHAD Association at rohhadassociation@gmail.com if you have any questions about this. We also have some updated news to share from the UK, so please read below and contact Chicago hospital via the links if your able to participate. We will continue to update any research information we have as it comes into us here at the charity. ‘Research is vital to identify improved treatments, deliver better quality of life and increase understanding of the ROHHAD condition. It is imperative that research is done if we stand any chance of saving the lives of the children diagnosed. The ROHHAD Association is currently working hard to raise funds so that research into the condition can begin here in the United Kingdom were we are based. At present no research into ROHHAD is underway in the UK, but we believe that as our donations increase with your help we will be able to change this. We also hope to achieve enough funds that will enable us to consider research funding requests into ROHHAD from around the world. There are Endocrine consultants in Scotland and England within the UK who are very interested in beginning research into ROHHAD. They are now working collaboratively with one another to prepare research proposals. When we receive the proposals we will have them independently checked by both scientists and medical doctors to ensure that the research funding is viable and relevant to ROHHAD Research. We have also been assured by Scotland’s First Minister Nicola Sturgeon that any research proposal about ROHHAD will be looked at and considered by the Chief Scientific Office in Scotland. This does not mean that funding will be approved however they will review all proposals. 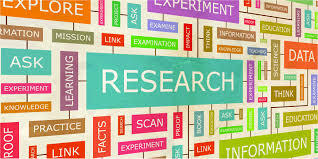 At the time of writing this we have been made aware that it is reasonable to expect the cost of at least one year of research to be approximately £300, 000.00. We have raised to date just over £2600.00. We will continue to work incredibly hard to raise awareness and the funds required so that we can support and fund research within the UK. 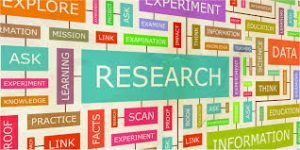 There is currently some research being undertaken in the USA and we will blog and post about research projects from around the world. We have recently been asked by the team at the Ann & Robert H. Lurie Children’s Hospital of Chicago to include the following information on our website. We are more than happy to share this with you all and ask that any family affected by ROHHAD who is reading this for the first time to please either contact us here at the charity for further information or click on the links below.